To resist the monopoly of mining power and to attain the true purpose of cryptocurrency, Vertcoin, a digital currency has come into existence. This flourishing currency is a fork of Bitcoin with additional features such as ASIC resistant Proof-of-Work (PoW) function and Stealth Address technology. Vertcoin aims to develop a financial system, which is owned by its users and can be mined with ease by anyone. 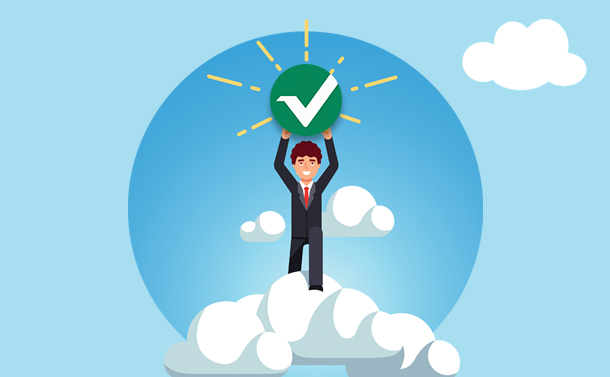 As a result, Vertcoin is not regulated by banks or large corporations or any mining hardware manufacturers. They allow its users to mine cryptocurrency on their own without the need of extensive knowledge and transfer between people over the Internet. To save this coin form specialized mining equipment, Vertcoin has been developed by volunteers of community members and the project is running on donations. Vertcoin, the people’s coin is impartially distributed without ICO, Premine and Airdrop while giving you assurance that your money is in safe hands. The project aims to develop a bank that is run by its users and save everyone from vested interests. They are working in the interest of its customers and are ensuring proportionate transaction fees distributed between numerous miners. The algorithm of Vertcoin is designed in a manner that defies the need for development of multipool mining and custom mining hardware. This will ensure that transactions are authenticated by an extensively distributed network and the pressure of trading is evaded when huge mining pools arbitrarily engulf the market with newly mined coins. The developers of Vertcoin are ensuring that mining is always performed with consumer grade hardware. What it means is that miners will have the opportunity to compete impartially and can avoid the risk of falling into the trap of dishonest hardware manufacturers. Vertcoin is a peer-to-peer digital currency and a software project supporting Mac, Windows and Linux. Further, it offers easy-to-use wallet that allows distribution, receiving, and mining of Vertcoin in few clicks. The web wallet of Vertcoin can be accessed via its website and it’s the safest mode to get started. All you need is an address to send or receive funds, which can be simply produced from any Vertcoin wallet. This entire transaction process takes less time and minimal fee for the maintenance of the network. Let’s focus on some of the features of Vertcoin. To keep mining of this cryptocurrency impartial and simple, the team of Vertcoin doesn’t permit ASICs in their network. This allows enduring security and reasonable distribution of the currency. This platform delivers a decentralized network of P2Pools. All you have to do is to download a miner and put in any P2Pool hosts without signing in and you can start mining. In order to construct a robust network, more miners are required and therefore they have built this one-Click Vertcoin Miner to engage maximum miners. The development team of Vertcoin is constructing a mobile app wallet which is like Loaf / Bread Wallet. This will allow Vertcoin to flourish at rapid rate and let users avail this platform at any time or anywhere they want. To augment the limit of Vertcoin block size and for the application of second-layer solution, which allows future upgradation, segregated witness is necessary. The lightning network of Vertcoin delivers accessible, instantaneous Blockchain transactions. This kind of network allows gigantic upsurge in the network capacity by transferring volume of transactions off the Blockchain for speedy processing. It is a decentralized method to exchange Vertcoins with each other and is a kind of layer that allows you to exchange two cryptocurrencies with Vertcoin. For instance, if there are two cryptocurrencies, Bitcoin and Monero, and you want to exchange Vertcoin for them or vice-versa, you can do this via this feature. This is a characteristic of Lightning Network, which allows coins to be exchanged with each other and with ease. Vertcoin, as a digital currency is flourishing at an exponential rate and somehow has managed to stay away from the mainstream media. However, the rate at which the Vertcoin wallet is surging is the major highlight of this project. Also, Vertcoin is further taking strides by partnering with leading industries and applying state of the art technology in space. Since it has partnered with Litecoin, is ASIC resistant, using Lightning Network in its protocol and many other features, it is expected that Vertcoin is ready to take off his journey to new heights.